Infusion is a new music genre that mirrors the contemporary urban world. 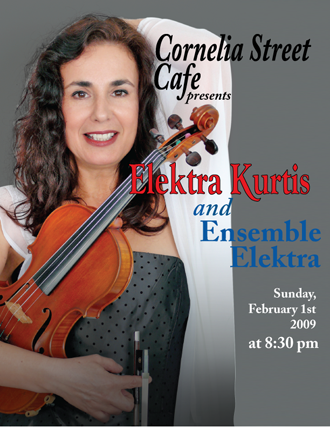 Elements from old cultures and contemporary music are absorbed and infused with music traditions from distant places, creating a mosaic of Old with New, Eastern with Western, Southern with Northern. 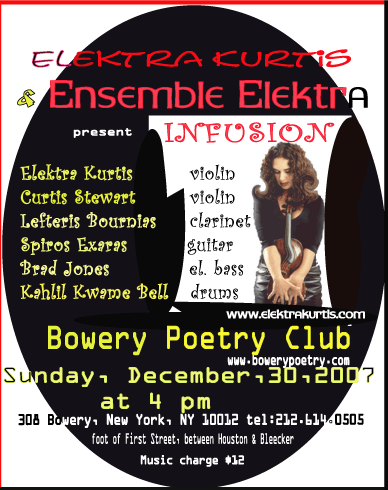 In her music, Elektra Kurtis bridges these differences creating a unique new sound. Danie Cortese ~ President / CEO Danie Cortese Entertainment & Publicity Inc.